Sorry, we no longer offer breeding services. We recently added this striking phantom boy to our program! He is a “large mini” at a solid 20lbs, but still under that 15″ max height, standing at 14″ at the withers. He is a fun little guy, who likes to soak up all the attention he can get! 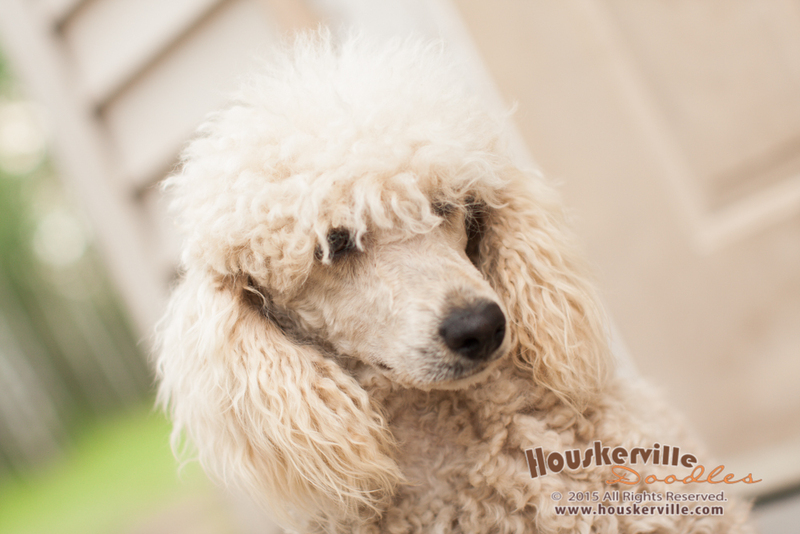 Garth (pictured above) is a Registered CKC Cream/Champagne colored Miniature Poodle. He is a proven sire and is Bruc. free/ Accession No. 16-3343. 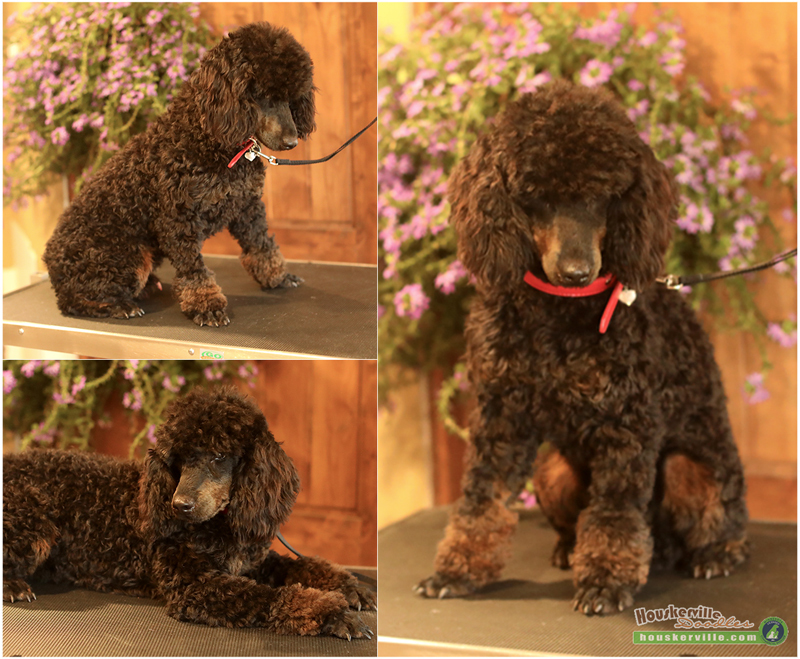 “King Bruno” is an AKC Mini Poodle. He is full of playfulness, fun, and is very affectionate. He will be a first-time daddy this spring! 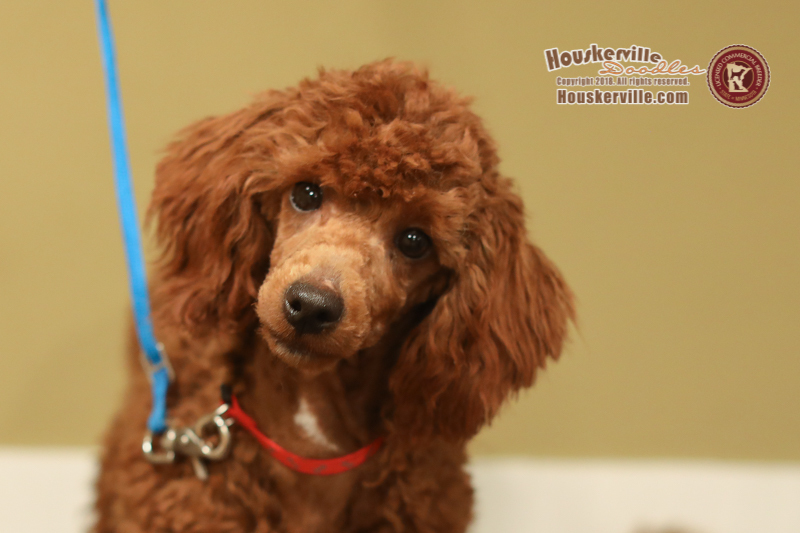 “Prince of Houskerville” – Miniature Poodle (14lbs) will be used to sire Aussiedoodles and Bernedoodles.